"Excellent singing voice a major plus!" Hello, I would be interested in knowing more about this position. For QA Experience [...] and as far as excellent singing voice, well, I guess that is subjective, but I was a professional singer in the Bay Area for close to a decade [and I gave them a link to some High Wire footage and MP3's]. If you consider that "Excellent", then yes,I would love to know more about what this project would be". I received a call two days after writing back, and an interview the next day. It turns out that the company was Konami Digital Entertainment (a Japanese video game publisher) and the project was a joint development between Harmonix (a Boston based game company) and Konami called "Karaoke Revolution". This was to be the beginning of a long running franchise for Konami, and while they had a number of software testers who could test the components of the game as related to navigation and controls, the one area they couldn't simulate was the real interaction of a person singing into a microphone to gauge performance at various difficulty levels. 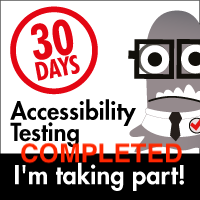 This was where I and a number of other testers with an interestingly specialized knowledge came in. For the two years that I worked with Konami, I had other test opportunities and other titles I worked on, but I became synonymous with Karaoke Revolution because I could test the game at the expert mode level more consistently than anyone else. I still have the promotional box signed by all of the members of the team, and I smile each time I see the producer's signature and comment... "three cheers to Mr. Expert Mode!" :). I was also to have a "little dream" come true when I was there. If you get the PS2 disk of Karaoke Revolution Volume 3, or you subscribe to the Xbox Live network, if you play the game and sing along to "China Grove"... the guide vocal you are singing with is yours truly ;). So why am I sharing this story with you today? 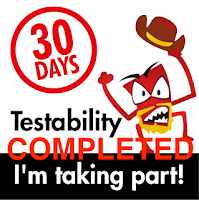 Because there are a lot of things that go into making us testers. All of our talents, passions and things that we love to do help to inform out testing. If you have a particular talent, seriously consider exploring it as part of your testing development. I enjoy playing guitar, and as such, I find the various software applications related to guitar and teaching guitar interesting. Yes, playing guitar can inform your testing, because you can bring a domain knowledge to a product and, based on that knowledge, you can see and recognize issues that may go unnoticed by people who are good testers, who are passionate about software, but may not have that key talent you possess. So consider this a way of encouraging all of you other testers out there. Look to what really makes you passionate. What hobby, activity, or talent do you have? Identify it, and try to tease out a few paragraphs about why you like it so much. Once you have done that, look for software products and projects that serve that particular talent. Many of these may be open source or collaborative projects, so contact the makers of the software or service, tell them about your hobby and that you are a tester, and see where the conversation leads. You may find that your passion for your hobby or talent could provide valuable information for makers of applications that affect something you love, and quite possibly, could create something better that you enjoy interacting with (increasing that passion) and allowing that company or group to create a better application for others. Win/Win. So the next time you find yourself thinking about something you love to do, or a latent talent you may have, give some consideration to looking at what you love about it and what might be out there that you could hone both your test skills and your muse. While such exploration may not net you your next dream job, who knows, it just might :).